Looking for the latest and greatest games? You’re in the right place. While we spend a lot of time covering the Best Mac games, tracking the newest Mac games is equally important. After all, they are the future of Mac gaming. With hundreds of new Mac games popping up each month, we prefer to focus on quality and only highlight the games that deserve your attention. In addition, this page covers the top upcoming Mac games for the rest of 2018 and 2019. If an exciting game is announced or rumored, you’ll find it here. And if you’re looking for a round-up of the absolute best of the year, do not miss our Best Mac games of 2018 guide. You’ll notice a bunch of new entries in both the New and Upcoming sections: We added 8 new releases and 5 more upcoming games! PS: Did you now you can easily find them by using the “New entries only?” filter? Dawn of Man From the creators of Planetbase, Dawn of Man is a survival/city-building game that has players leading a tribe of early humans through the ages. Guide your settlement of ancient humans through the ages as they struggle for survival. Hunt, gather, craft tools, fight, research new techs and face the challenges the environment will throw at you, from wild animals and invaders to the unforgiving weather. Tannenberg After more than a year on Steam Early Access, WWI shooter Tannenberg is officially out for Mac. DUSK Inspired by Doom, Quake, Half-Life, and all your other favorites from the '90s, DUSK is an old-school shooter that manages to recapture the magic from the classics. In DUSK, you'll face mystical backwater cultists, possessed militants and even darker forces as you attempt to discover what lurks beneath the Earth. Luckily, a vast arsenal will be at your disposal including swords, crossbows, rifles, and even rocket launchers. Divinity: Original Sin 2 Divinity: Original Sin 2, the highest rated PC game of 2017 on Metacritic, features next-gen tactical combat, improved AI, and unlimited freedom to explore and experiment. Developed in a partnership between Mac porting studio Elverils and the Apple Metal Engineering Team, Original Sin 2 is the first time Apple's Metal Engineering team publicly collaborates with a developer to bring a game to the Mac! Sunless Skies Sunless Skies is a horror RPG with a focus on exploration and storytelling. Sunless Skies is a top-down, story-driven game of exploration from Failbetter Games, creators of the game's predecessor, Sunless Sea. Sunless Skies puts you at the helm of a spacefaring locomotive. As captain of the ship, it will be your job to lead and manage your crew, explore more of the dark Fallen London Universe and basically survive the queen's agents, pirates, and abominations of the skies. Subnautica: Below Zero Officially still on Early Access, Below Zero is the first expansion of the excellent underwater adventure game Subnautica. Slay the Spire Slay the Spire combines some of the best parts of roguelikes and card games to create one of the best single-player deckbluiders in a long time. Featuring something they call dynamic deck building, the game lets you discover hundreds of new cards with each attempt at climbing the Spire! Craft a unique deck, encounter bizarre creatures, discover relics of immense power, and Slay the Spire! Warhammer 40,000: Mechanicus In this turn-based strategy game you'll take control of the most technologically advanced army in the Imperium - The Adeptus Mechanicus. Featuring over 50 hand-crafted missions, Mechanicus will put you in charge of an expedition on the newly rediscovered planet. Customize your team, manage resources, discover long-forgotten tech, and control your Tech-Priests’ every move. Civilization 6: Gathering Storm Gathering Storm is the second expansion to Civilization 6 and introduces eight new civilizations and nine new leaders. But the main highlights are its entirely new systems. You can now influence the world ecosystem and impact the future of the entire planet in ways that were not possible before. Natural disasters like floods, storms, and volcanoes take the center stage to remind us there are some things you can't control. Parkitect Parkitect brings the classic theme park game to modern times. And now that RollerCoaster Tycoon 3 is no longer available, it arrives just in time. In Parkitect you'll be in charge with the construction and management of your own theme park: Build your own coasters, design an efficiently operating park that fully immerses your guests in its theming and play through the campaign. Artifact This new collectible card game is based on the world of DOTA 2 and was designed by Richard Garfield, the creator of Magic: The Gathering. Also, it's the first game Valve has released in five years. Artifact plays a lot like Heartstone (collect cards, build decks, and challenge people online) but the big difference is that Artifact doesn’t let players earn cards. You'll have to pay for them. Equilinox We have Mac games that allow you to create and manage your own farms, cities and space colonies, but how about a game that lets you nurture an entire ecosystem. That’s what Equilinox provides. Place plants and animals and manage their life-cycles and behaviors to help them flourish. Complete in-game tasks to help accumulate points that can be used to unlock exotic new plants and animals and help shape paradise. MXGP3 If you’ve been wondering what Virtual Programming has been up to, they were quietly working on MXGP3: The Official Motocross Videogame. The first Moto crossgames to come to MacOS in yearsj MXGP3 features completely new gameplay and graphics thanks to the Unreal Engine 4. It also includes 18 official tracks and all riders and bikes from the 2016 MXGP and MX2 seasons. The LEGO videogame machine keeps rolling, this time with a tie-in with Disney Pixar’s The Incredibles. And why not? The family-friendly superhero movies are a perfect match with the family-friendly puzzle-based action of the LEGO games. You and a partner can play as (and modify) your favorite colorful Incredibles characters, taking advantage of their unique abilities as you battle your way through events from both movies. It’s all set up in an open-hub world filled with plenty of side missions to keep you busy and entertained. Farming Simulator 19 This year’s Farming Simulator entry comes with a complete graphics overhaul. Build and manage your farm in American or European environments with plenty of new faithfully recreated heavy machinery. Whether you’re tending your crops or livestock, you can do it alone or with the help of up to 15 other virtual farmers in online mode. Of course, it’s not all work. If you want to just enjoy the scenery, you can now hop on your horse and take a leisurely ride across your land. Total War: Warhammer 2 Total War returns with its signature combination of turn-based empire building and real-time tactical battles pitting massive armies against each other. And because this is another Warhammer entry, expect to see heroes, spellcasters, monsters and dragons on the battlefield. The campaign picks up after the original Warhammer’s campaign and will take your armies through jungles, deserts, savannahs, and icy mountains. Football Manager 2019 Would you rather play “the beautiful game” or manage it? If the latter, Football Manager 2019 and its 2,500 clubs is for you. Cuphead If you’ve ever watched a 1930’s cartoon and thought, “Man, that’d make a great video game,” you should probably seek out a job with Studio MDHR Entertainment. This company has brought us Cuphead: Don’t Deal With the Devil, and it’s one of the trippiest combat-based 2D platformers we’ve seen in a long time. Designed to retain the look and sounds of vintage cartoons, Cuphead tasks you (and potentially a partner in local co-op) with clearing out strange and violent worlds as you seek to pay back your debt to the devil. Expect plenty of boss battles. Return of the Obra Dinn The Obra Dinn, a merchant ship carrying over 200 tons of trade goods, was declared lost at sea in 1802. In 1807, it drifted ashore with damaged sails and no crew. You play an insurance investigator dispatched to assess the damage, but of course there’s also a pretty big mystery to solve here. The most striking thing about the Return of the Obra Dinn, though, is the manner in which the game is depicted; the entire game is painstakingly created in stippled black-and-white graphics like the games we played on our Mac SEs. Check it out! RimWorld Your spaceship crashes on a distant planet. Three of you survive. Can you stay alive long enough to rebuild and colonize this strange world? RimWorld is a sci-fi colony sim that generates its story as you play, creating scenarios by tossing “random” events at you to overcome. You even get to pick your “storyteller” to control the overall approach of the game (random, relaxing, etc.) as you attempt to manage the attitudes and relationships of your colonists, explore and utilize the environment, and fend off attacks while launching your own. Good luck out there. Farm Together In Farm Together, you’ll grow crops, raise animals, and construct and maintain buildings, unlocking new items as you advance. But you don’t have to do it alone; multiplayer farms can be set up for anyone to join, or just your friends. And whether you’re farming by yourself or with neighbors, the game advances even when you’re not playing. Check back in and there are sure to be some chores to attend to. I’d say the game allows you to live the simple life, but you and I both know there’s nothing simple about farming. Mark of the Ninja: Remastered Want to know what it truly is to be a ninja? Klei Entertainment is happy to show you with this 4K remaster of Mark of the Ninja. Be clever. Be silent and agile. Let your cursed tattoos give you heightened senses that can be used in ways specifically suited to your play style. Kill everyone, kill no one, it’s all up to you. This remaster also comes with the special edition DLC and everything you would expect from a remaster: enhanced visuals, remastered cinematics, new 5.1 audio and more. Do it right and they'll never see you coming. Pathfinder: Kingmaker This successful Kickstarter brings isometric, party-based RPG gaming to the Pathfinder universe. Kingdoms have risen and fallen in the Stolen Lands, and now it’s time to build yours. Create your character and work with (or against) your companions and NPCs from the Pathfinder universe to explore, conquer and rule. Your decisions shape the land and your relationships with those who may want to take it away from you. All this, and yet those tombs and ruins aren’t going explore themselves, you know. Cube Escape: Paradox This tenth entry in the Cube Escape series actually ties in with the movie Paradox: A Rusty Lake Short Film. Trapped in an ominous room with no memories of his past or how he got there, detective Dale Vandermeer must solve a series of complex puzzles in order to escape. Handmade paintings by Johan Scherft and an atmospheric soundtrack by Victor Butzelaar help to create a heavily surreal experience. Cube Escape: Paradox is told two chapters; the first chapter is totally free to play and chapter two is available for only $2.99. CrossCode Crosscode is a retro 2D action RPG very much inspired by the 16-bit SNES classics. The 30 to 80-hour adventure (there are over 100 quests to soak up your time) will take players to seven different lands filled with hidden secrets, over 120 enemy types, and dungeons filled with monsters and Zelda-style puzzles. Find new equipment, optimize your attacks, and take out the 30+ bosses along the way. It’s all pulled together with a sci-fi story that’ll serve as a nice break for those leery of starting another fantasy adventure. Distance As in, can you go the distance? Futuristic racers are nothing new, but Distance brings a fresh new take to the genre. Drivers aren’t just racing through this mysterious city, they’re trying to survive it! Jump, rotate and fly to work your way down treacherous roads and avoid obstacles in single-player adventure mode, arcade races, and multiplayer (split screen or online). Tracks are randomly generated, and over 2,500 user-generated tracks have been built using the game’s level editor. On top of all this, the game is visually stunning. Airships: Conquer the Skies Conquering the skies won’t be easy though, because in addition to enemy airships the skies are filled with kraken, fleshcracker mechs, giant spiders, something called “clockwork wasps,” and more. In addition, you have to design and build your airship! Layout is crucial so your sailors can maneuver efficiently as they work to keep your airship aloft. And as you’d expect from a game with an “airship,” it’s all delivered with a Steampunk motif. Take on missions, build an empire, or just go up against your friends. Life is Strange: Before the Storm Life is Strange 2 is coming to the Mac in 2019. While you wait for that, here’s your chance to dip back into the original via this standalone expansion pack. Set before the events of the first game, players take on the role of sixteen-year-old Chloe Price. She’s a rebel, but does that stop her from forming a relationship with the proper and popular Rachel Amber? Of course not! With dark family secrets and abandonment issues to confront, the two girls must rely on their friendship to find their ticket out of Acadia Bay. Two Point Hospital This aptly-named hospital simulation from Two Point Studios harks back to the glory days of Theme Hospital, putting you in charge of building and designing your hospital, managing it, doing research, and more. Heal the sick and cure diseases, sure, but you’d better turn in a profit in the meantime. It may be set in a hospital, but this is a business management sim after all. If you happen to save lives in an attempt to please the shareholders, then good for you! Counter-Strike: Global Offensive If you’ve been looking for a good opportunity to jump into CS:GO, now’s the time. This newly released Free Edition of the competitive online shooter gives you an inexpensive way to get up to speed...against bots, anyway. It’s offline, so you won’t be playing with friends, but you can practice by going up against computer-controlled enemies or watching live matches through GOTV. When you’re ready, you can get access to full multiplayer gameplay and a multitude of other online features for just $14.99. Donut County In this story-based physics puzzle game, you play as an ever-growing hole in the ground. You read that right. And you'll have to swallow up as much stuff as you can. But you don’t spend the whole game swallowing up objects; you can also create items to catapult yourself out of your hole in order to solve the game’s physics-based puzzles. Consider Donut County a cute, clever, wholly bizarre break from all those violent games you’ve been playing recently. And when you have the bodies, should you really just bury all that quality meat when there are so many hungry festival-goers around? Oh, and there are dungeons to explore, too. World of Warcraft: Battle for Azeroth If you’re keeping track, this is the seventh expansion pack for the World of Warcraft MMORPG, and we’re thrilled they keep rolling out for the Mac. Battle for Azeroth brings quite a few changes to the core game, including the ability to take your characters to level 120, 18 character slots per server, the return of unique buffs specific to classes, and more. Players will need to make use of all of this while visiting the continents of Kul Tiras and Zandalar in order to recruit new allies for the war between the Alliance and the Horde. TerraTech There are countless open-world games out there that let you explore and destroy, but not many of them provide such focus on the vehicles used to do so. TerraTech, on the other hand, plays out the way your imagination did with a set of LEGOs and childhood afternoons. Gather resources, then design and build your own vehicles to complete challenges, engage in combat, or simply explore. TerraTech is still in early access, but you’ll want that extra time to explore its infinite, procedurally generated worlds. Just remember; creativity is the key to success. Into the Breach Into the Breach is a turn-based strategy game from the same studio that brought us the critically-acclaimed FTL. Set in a far future, you'll use enormous mechs to save humanity from hordes of gigantic monsters. The actions you take and strategies you develop on one level will determine what happens on the next, so the game is as good at analyzing you as you are at analyzing your enemies. Sometimes the best solution is simply the one that’s the least bad. Dead Cells Dead Cells is an action-platformer from developer Motion Twin that some call the best Castlevania game in years. The game contains no checkpoints as you explore its Castlevania-like world, so you’ll need to quickly learn how to survive. You’ll get lots of weapons to help you on your way, but the game’s more about improving your skills as you die and restart your way through the 13 levels currently available. Experience frustration and triumph across 16 to 20 hours of platformer action. Overcooked! 2 I’ve worked in enough restaurants in my time to not be enthralled by the phrase “chaotic cooking action.” But this is the Onion Kingdom, not Perkins, and here you can share the frantic restaurant lifestyle with up to three friends locally or online. The “steaks” are higher, too, as you’re not serving sushi, burgers, and pizza simply to beat the evening rush, you have to save the world from the evil Unbread! Set up your team of chefs and enjoy some casual cooking action. LEGO Marvel Super Heroes 2 LEGO and super heroes go together like...well, like LEGO and anything really. And that’s why it’s easy to recommend you check out the latest tie-in with the Marvel cinematic universe. This time around, the time-traveling villain Kang the Conqueror serves up an excuse for dozens of Marvel characters to enter into the typically light-hearted action and puzzle-solving. Available characters include the Guardians of the Galaxy, Captain America, Black Panther, Spider-Man and...Iron Duck? As fun and funny as you’ve come to expect from the LEGO video games. Star Traders: Frontiers This RPG puts you in charge of a ship and its crew as a space pirate, bounty hunter, merchant, or “profession” of your choice as you set out to explore its massive open universe. The setting is constantly evolving around you, and how you fit in (and help shape it) is entirely up to you. Join the military, take on a mercenary role, play both sides as a spy...it’s entirely up to you. Just make sure you customize your ship and select and train your crew for the challenges ahead; the space sandbox can be a dangerous place. I mean, that’s really bad practice for real-life officers, but it makes for some entertaining story-driven gameplay on your Mac. Part sim as you manage your department, part puzzle/adventure as you solve crimes, and part tactical RPG as you take to the streets, This is the Police 2 comes with all the drama and intrigue of a prime-time cop show, but this time you’re in charge. Tropico 6 El Presidente is coming back! The beloved dictatorship simulator will return next year and will bring with it the gameplay and mechanics you would expect from the city-building series. This time though, you’ll also be able to play on archipelagos, send agents on raids to steal world wonders and monuments, build new transportation and infrastructure (you can finally build a bridge! ), customize the look of your palace, give election speeches, and more. What that means for the research team, we’ll have to wait and see. And based on the promotional screenshots, this is an adventure that’s going to be hard to wait out. Insurgency: Sandstorm Although we have no official release date announced for the Mac, the developers have stated they hope to get Mac/Linux support after the Windows launch in December 2018. Let’s hope that happens so Mac gamers can join in on all of the first-person shooter, multiplayer goodness. Unlike competing games, Insurgency: Sandstorm provides close-quarters intensity through its highly-deadly weaponry and the lack of a health bar or mini-map. Team coordination is key to survival, not health packs. Are you ready for that? The Bard’s Tale 4: Barrow’s Deep With $1,500,000 in funding on Kickstarter, this long-awaited sequel arrived on Windows just in time to celebrate the series' 30th anniversary. Meanwhile, inXile Entertainment has assured us a Mac version is coming "in the very near future," so we'll just have to be patient. This new entry in one of the most iconic RPG series of all times features a rich combat system, puzzles to solve that will reward your creativity, and a beautifully crafted world. Total War: Three Kingdoms Creative Assembly and SEGA are teaming for yet another unique addition to the Total War series, and Feral Interactive has already announced that as expected, they will be bringing it to Mac gamers shortly after its Windows release. Still a combo of turn-based strategy and real-time tactics, Three Kingdoms is set in China at the collapse of the Han dynasty. You play as one of the warlords arising to defeat Dong Zhuo, and will be able to do so in either “classic” or “romantic” mode, the latter of which grants you with superhuman strength! World of Warcraft: Classic If you were one of those lucky enough to access the limited-time Blizzcon demo of World of Warcraft, then you already know what to expect from this reinterpretation of the ground-breaking MMORPG originally released in 2004. A lot has happened since then, after all, World of Warcraft: Classic will allow newcomers (or latecomers) to start back at the very beginning (but with all the gameplay improvements intact). 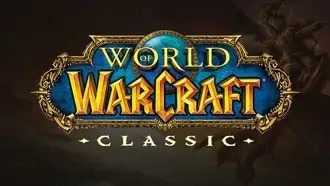 Those with a current subscription to WoW will have free access to Classic when it’s released. Shadow of the Tomb Raider Lara Croft will soon return to the Mac, and she’s ready to become the tomb raider she always had been before the violent reboots began. This time, Lara will need to survive a deadly jungle and all the dangers it presents, but also utilize its resources in order to fight back. Shadow of the Tomb Raider will also present the most terrifying and brutal tombs we’ve seen...provided you’re clever enough to even reach them! With stealth, intelligence and her increasing skill set, can Lara save the world from a Mayan apocalypse? DiRT 4 DiRT 4, the latest racing game from Codemasters, will soon bring to the Mac the intense thrill of all-terrain motorsport in an electrifying mix of disciplines. With a fleet of over 50 rally cars, buggies, trucks and crosskarts at your dispisal, you'll get to put those these incredible machines through their paces their paces on the world’s most demanding rally routes, from the dirt roads of Australia to the hazardous snowdrifts of Sweden and on to the open gravel tracks of Michigan USA. Life is Strange 2 Fans of the original Life is Strange will be happy to hear that things haven’t quite normalized. This sequel to the popular and award-winning episodic adventure game from Dontnod Entertainment and Square Enix gives us a new story centered around brothers Sean and Daniel Diaz. The two go on the run after being blamed for the death of a police officer, but as you can tell from the title of the game, there are likely unexplained forces at work here. Their adventure will be spread across five episodes. WarCraft 3: Reforged No matter how you weigh in on updates of classic computer games, I think you can agree that WarCraft 3: Reforged is one worth watching. Blizzard claims this will be a “complete reimagining” of their classic real-time strategy game, so expect more than just shiny new graphics. Plans are to balance the gameplay, refocus the story, and update the world layout and locations, all while providing cross-compatibility with the current version of WarCraft 3 so on one gets left behind. The Universim Available now in Steam Early Access, The Universim is a new god game from Crytivo. Manage entire planets as they evolve under your watchful, helpful, and sometimes punishing eyes. You’ll be influencing the Nuggets as they build, research, advance and survive as a species. Their success is dependent upon your actions, but that doesn’t mean you can’t have some godly fun at their expense. Create disasters, launch them into space, whatever... They’ve got to learn their lesson if they want to survive the winter. Crazy Justice If the environments, characters and action of Fortnite are getting a little stale for you, it may be time to take on Crazy Justice. This Steam Early Access game from Black Riddles Studio and Fig Publishing allows you to choose your hero, customize his/her abilities, and travel the world to loot weapons that will help you vanquish the forces of evil or just be the last one standing, depending upon the game mode. And if you like vehicles, there are more here than just shopping carts. Frostpunk From the creators of the stellar This War of Mine comes Frostpunk, a city-survival game set in a frozen world. In Frostpunk, people have developed a steam-powered technology to oppose the overwhelming cold and it will be your job to create a city that can outlive it. Frostpunk is about fighting the elements and facing tough ethical decisions as you form a society. The concept here sounds similar to This War of Mine’s, except Frostpunk is a much bigger game. This War of Mine was built by 12 people; Frostpunk was built by 60. PULSAR: Lost Colony Another Steam Early Access game, PULSAR: Lost Colony is a cooperative space exploration game that takes place in randomly generated galaxies. Team up with up to 4 other friends to operate an advanced starship and explore a galaxy descending into chaos. Each player assumes a role aboard the ship (Captain, Pilot, Weapon specialist, etc) and good coordination between players will be crucial. I can't wait to see how this one pans out. Oxygen Not Included Available on Steam Early Access, Oxygen Not Included is a space-colony simulation game from the creators of Don't Starve and Mark of the Ninja. As you build and maintain your subterranean asteroid base, you'll have to ensure your colonist have enough water, warmth, food, and oxygen to stay alive. Don't let those cute graphics fool you, this is much harder than it seems! Empires of the Undergrowth Any older Mac gamers out there remember playing SimAnt? If so, you’ll certainly want to check out Empires of the Undergrowth, a real-time ant colony management game in Steam Early Access. It’s up to you to build a nest conducive to growing your colony to the point that it can defend itself from rival colonies and other hazards. Missions are laid out as if part of a documentary, complete with narration that provides intelligent insight. Play as different ant species, all of whom will battle beetles, spiders, and other arthropods. Stranded Deep A plane has crashed somewhere in the Pacific Ocean, and it appears you’re the only survivor. How will you stay alive? Seek shelter on a dangerous island or build a raft and set out for a safer environment? Weather conditions change as you progress, requiring different strategies as you work your way through the myriad life-threatening scenarios. Fortnite: Save The World It’s easy to forget that Fortnite: Battle Royal launched as the PVP experience of a larger game, but that may change when Fortnite: Save the World leaves early access in 2019. Unlike Battle Royal, Save the World is a PVE (player vs. environment) co-op survival shooter game in which up to four players team up to defend their fortifications from zombies. Set up shelters, find survivors, and collect data on the events that led to this apocalyptic situation in the first place, all while attempting to stay alive. Frozen Synapse 2 Announced all the way back in 2016, Frozen Synapse 2 has only just recently been released for Windows. Mac users will have to wait a bit longer to take on this sequel to the award-winning, highly stylized Frozen Synapse turn-based tactics game. In it, players will guide squads through a procedurally generated city reminiscent of Tron: Legacy. Set up your strategy, then watch it play it out. Collaborate or betray. Assassinate or assist. Single and multiplayer modes will be supported. Cyanide & Happiness Based on the popular webcomic by the same name, Cyanide & Happiness is a new approach to point-and-click adventures, filled with dark comedy, drama, weirdness, and an apocalypse in the suburbs. This is one good-looking and interesting game that oozes originality. No wonder it was quickly funded on Kickstarter, raising nearly $575,000 from almost 15,000 backers. Industries of Titan From the creators of the beloved Crypt of the NecroDancer (one of the best Mac games out there) comes this building simulator set on Saturn’s moon. In Industries of Titan, you get to design your own cities, build factories, and manage their economy. But you will also need to protect your cities by designing battleships to engage in tactical combat against hostiles. This game is an ambitious project and I’m glad to know it’s in good hands. Griftlands Griftlands is an RPG that will have you negotiating over money, loyalty and your own morality as you seek to make your fortune within the game’s flowing economy. A full cast of characters is available for you to control and set up as companions. These characters will also engage in turn-based combat where the goal is to subdue, not to kill. Kind of a refreshing approach these days, really. As with any game coming from Klei Entertainment, the company that brought us Don’t Starve and Oxygen Not Included, among others, we will be keeping an eye on this one. Outer Wilds Outer Wilds, the first ever game funded on Fig.co, is an open-world exploration game about a solar system trapped in an endless time loop. The game features fully simulated planets you'll need to explore in your search for answers. Problem is, you have only 20 minutes before your planet is destroyed. Similar to the cult-classic Majora's Mask, you'll need to use what you learn with every playthrough to eventually save the universe. 7 Days to Die 7 Days to Die is an open world game that aims to combine survival horror, tower defense, and role-playing into a first-person shooter. That may sound like an ambitious, and perhaps nearly impossible, proposition, but developer The Fun Pimps largely succeeds. Available on Steam Early Access since 2013, this is one game that keeps pushing updates, adding features and polishing gameplay. I can't wait to see that this will look like once the game is finally released. Age of Wonders: Planetfall If there’s a game about a planet that has fallen, you know it’ll be up to you to rebuild it. From Triumph Studios, creators of the critically acclaimed Age of Wonders and Overlord series, Age of Wonders: Planetfall will task players with exploring a fallen empire to discover new races and technologies that can be used to fight, build and advance your house. Of course, many of the races aren’t there to help, so you’ll need to build a strong army in order to conquer them and utilize their technologies to become even stronger on your way to victory. Imperator: Rome Paradox Interactive is at it again, this time with Imperator: Rome, the sequel to Europa Universalis: Rome from back in 2008. This “grand strategy” game takes place during the establishment of the Roman empire. It will feature a bit of character management but mostly focuses on the overall population. Battle tactics, diverse governments, trade, and rebellions factor into the gameplay as well, and each must be properly controlled in order to successfully build your empire. Subscribe now for special rewards when the game launches. In The Valley of Gods From the creators of Firewatch, 2016's indie game of the year, In the Valley of Gods is a first-person adventure game set in 1920s Egypt. You'll take the role of an explorer and filmmaker and will embark on a mission that will bring you fame and fortune—or leave you for dead, buried beneath the sands. As you recruit the help of a former partner you vowed never to work with again, you can expect the same stellar storytelling and characters that made Firewatch famous. Overland From the studio behind Canabalt, Overland is a squad-based survival strategy game set in post-apocalyptic North America. You'll have to manage your fuel-supply and weapons and make tough choices to survive. Survive long enough and you'll eventually reach the heart of the cataclysmic event that destroyed civilization. With a gorgeous art style and top-notch poly graphics, Overland is game no one expected, but now everybody can't wait to play. System Shock Developed by Night Dive Studios, System Shock is a complete remake of the 1994 classic of the same name. Take on the role of a resourceful hacker as you explore and survive the terrors of Citadel Station brought on by a rogue AI. With over $1.3 Million raised on Kickstarter and a full team of industry veterans from games like Fallout: New Vegas, Mass Effect, and BioShock, this remake aims to be a worthy successor of the game we all know and love. Phoenix Point In Phoenix Point, the tactical turn-based strategy game from the creator of the original XCOM, players take on the role of a secret organization called the Phoenix Point. The game features turn based tactics and world based strategy in a fight against a terrifying, alien menace. This may sound a lot like XCOM, but that makes sense as Julian Gallop, the man who gave birth to the XCOM franchise, is behind this project. Before Before is a survival and management game from Facepunch Studios, the developer best known for the popular Garry's Mod and Rust. The game will put you in charge of an entire tribe of prehistoric people who will have to hunt, find shelter and basically survive an unforgiving world. As your tribe grows, it will eventually evolve sophisticated hierarchies with "beliefs and rituals". No one knows when the game will be released but the developer has done an excellent job sharing a detailed roadmap with its loyal fans. Ylands Ylands is a sandbox game that will captivate you by its beautiful polygon graphics. It comes from the same team behind Arma 3 and will let you create a completely modifiable island. As Destructoid rightfully puts it, Ylands is "an attempt to marry the complexity of ARMA with Minecraft". The Windows version of the game is available on Steam Early Access and from the reviews so far, the game is promising but still has a long way to go. Arma 3 Developed by Bohemia Interactive and available as an Experimental Beta for Mac on Steam, Arma 3 is a massive sandbox military tactical shooter. Unlike the countless Call of Duty clones we've seen over the years, this is a painful simulation that requires patience and precision. The game features a wide variety of single and multiplayer content and over 20 vehicles and 40 weapons. With a little luck, developer Bohemia will soon release an official MacOS version. Sociable Soccer Sociable Soccer is a new game from the creator of the super popular Sensible Soccer from the 90s. Sociable Soccer is a fusion of old-fashioned arcade playability and modern technology and aims to be fast, fun, easy to play. This a really fast game where every second truly counts. Now, we don’t know if Sociable Soccer will ultimately make it to macOS, but thanks to your efforts, it could. Keep in mind that this is a work in progress and all your suggestions are welcome. I will do my best to update it at least once per week, but I will need your help. Would you like to see some more information about the games? Perhaps you heard about a game that I missed here? If you do, you can always get in touch directly to me here (or just leave something in the comments section below). Let’s create the most accurate (and awesome) Mac Games calendar!